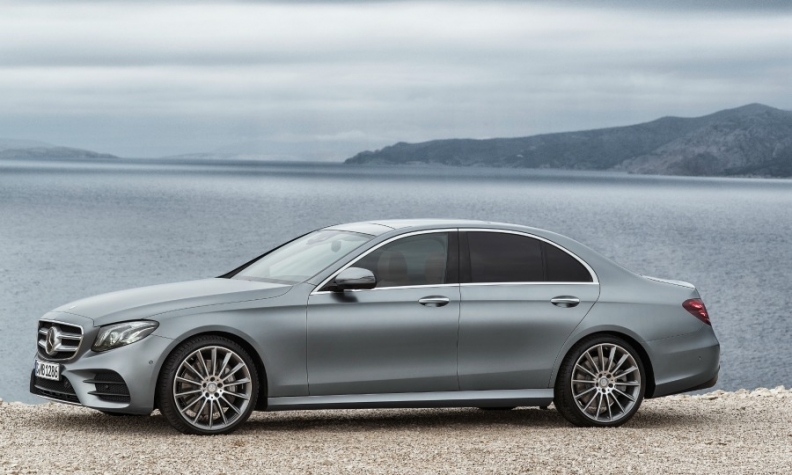 Demand for the E-class sedan helped to boost Mercedes' sales in China. MUNICH -- Mercedes-Benz has edged past long-time China luxury-car market leader Audi and expects 2018 to be another bumper year as consumer appetite for high-end vehicles such as the E-class sedan shows no signs of slowing. "Significant double-digit growth" is expected for next year in China after a 28 percent jump in deliveries through November, Hubertus Troska, who heads Mercedes parent Daimler's Chinese business, told journalists at an event in Stuttgart, Germany. Adding to momentum, Mercedes will add a compact sedan, its fifth model made in the country, at its Beijing factory in 2018. The car will go head-to-head with the locally produced Audi A3 and BMW's 1-series and 2-series vehicles. Mercedes's ongoing momentum in China -- which accounts for 60 percent of its top-of-the-line Maybach subbrand's deliveries -- extends a turnaround from the automaker's dealer network overhaul four years ago, when its sales there amounted to less than half of Audi's. Audi, the biggest premium-car nameplate in China for 28 years, has faced its own struggles with discontented dealers this year. The Volkswagen Group unit riled outlet operators when it sought a second partnership in the country with SAIC Motor, following a long-term relationship with China FAW Group. While Audi's sales have recovered since it reached an agreement with the distributors in May, deliveries remain down from a year ago, declining 3 percent through October to 487,264 cars. This compares with Mercedes's sales of 488,915 vehicles in the period. China remains the biggest single market for all three of the German premium brands, as well as for mass-market producers like Volkswagen's namesake marque. Alongside its conventionally powered models, Daimler may build a second electric car in China, after unveiling the EQ A compact prototype in September, Troska said. The company earlier this year agreed with partner BAIC Motor to start making the EQ crossover in China in 2020. Separately, Daimler is in talks with potential partners to extend its car-sharing ambitions in China, after starting a pilot project in 2015 in the central city of Chongqing with 500 vehicles under the Car2Go brand. The company also operates the Car2Share service in some 40 Chinese cities. For this business, vehicles have to be returned to fixed stations, unlike with Car2Go. "Profitable car sharing is a particular challenge in China because taxi and ride-hailing services are comparatively cheap," he said. "Our next step on car sharing in China will be with a partner."